Animate Pro lets you extend your rigging techniques beyond normal boundaries and sets new standards. You can create hierarchies without encapsulating pieces inside each other by creating a linked structure between your layers. 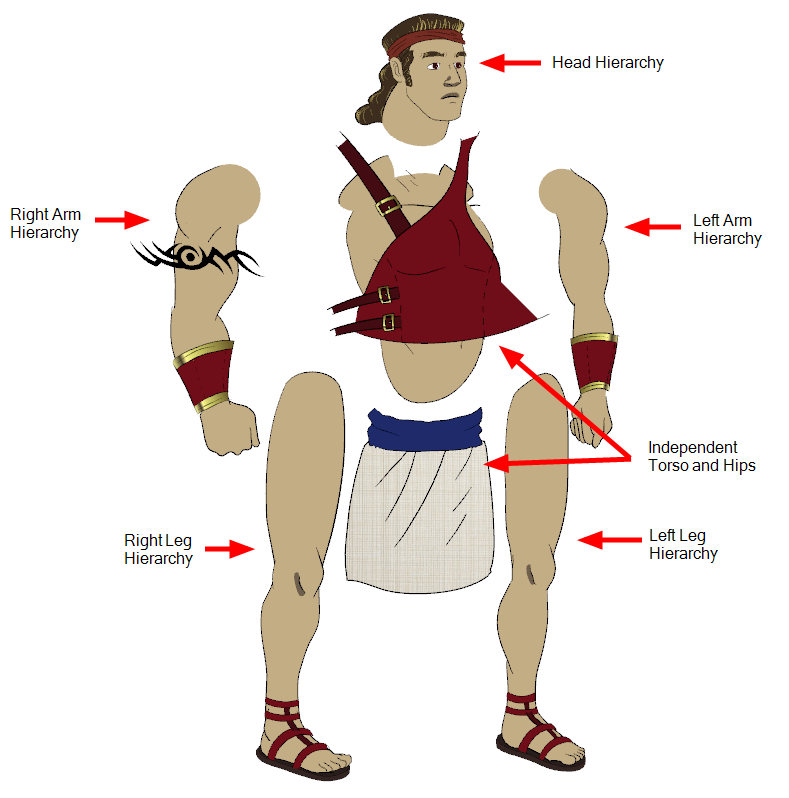 You should create a hierarchy on your arms and legs and keep the arms and legs separated from the body. This gives you more animation freedom. This way, when you need to scale or skew the torso, it will not affect the entire body. ‣ Drag the child piece (hand) and drop it ON the parent piece (forearm). 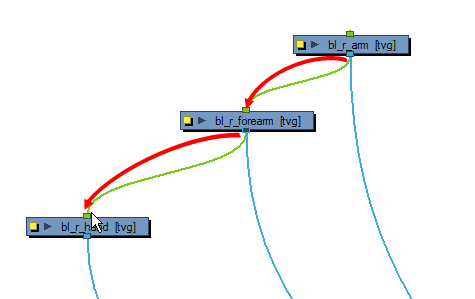 Then, you can drag the parent (forearm) piece onto another parent piece (arm). ‣ See Nudging Parts Backwards and Forwards to reorder parts that should be in front of their parents. ‣ From the parent part, drag a new cable connection out of the module's output port (bottom) and connect it to the child part module's input port (top).